Serving central Ohio for over 10 years. Family owned and operated. Dedicated to the future of our community. 5 year Bachelor of Architecture degree. 10 years of professional design experience. Extensive carpentry/ construction management experience. Fully Insured. Member of Ohio Chamber of Commerce. 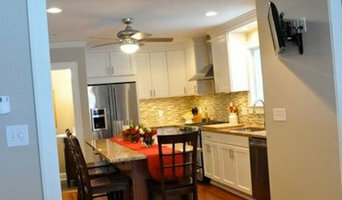 Residential design build- Area leader in innovative designs, quality renovations, and custom homes. Superior construction, personal integrity, and personal service are the foundations of our practice. Custom Home Builder specializing in new home construction, kitchens, baths, small to large additions. We utilize and provide in-house trades for carpentry, masonry, site work, excavation, and focus on the design build approach in working to help achieve the best possible solution for meeting the needs of the homeowner. Located in the heart of the west side of Cleveland, we provide design-build new home construction services as well as remodeling and renovation services throughout the entire Cleveland Market. If you are looking for a uniquely better company to partner with for your next project, please reach out to us. Share your vision with us and together we can create the right plan to turn it into your reality. 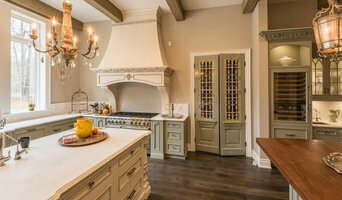 JDR Home Improvements is a Cleveland, Ohio Home Construction and Remodeling Company that is committed to Superior Craftsmanship and Professionalism in the Home Construction Trades. Working in the greater Cleveland area, we specialize in Additions and the Remodeling of Kitchens and Baths, Basements, Decks, as well as Carpentry and General Contracting Services. For the past six years JDR Home Improvements has been offering the best construction services that money can buy. Our business has been growing and continues to thrive based solely on referrals from previous customers. Our customers trust us to work in their homes even if they are out of town. We pride ourselves on our communication skills, cleanliness and attention to detail, respect and professionalism. JDR Home Improvements welcomes the opportunity to meet you and serve your remodeling,construction or service needs. Residential design and construction with an emphasis on fine woodworking details, lighting schemes, and accent hardware. Sourcing and installation for architectural salvage, vintage period-specific elements, and bespoke wood turnings and moldings. "Our mission is for our clients, staff and partners to enjoy together the pursuit of remodeling excellence." Arthur Duhaime was born right here in northeastern Ohio. He began his career young taking a job with a local handyman at the age of 14. It didn't take long for him to advance given his love of the work and natural ability. However due to the lack of honorable organizations to work for within the remodeling industry, he decided to strike out on his own. In Spring of 2004, Arthur formed Advantage Contracting LTD with the intention to create the honorable organization he had desired to work for. Since then the company has been blessed with continual steady growth despite challenges and economic climate. Arthur has sustained this growth by always providing the best possible service and craftsmanship above all else. We know something that most contractors do not. Happy people do great work, and so we treat our staff with great respect, taking into consideration their home life and financial needs. This philosophy has been a crucial turning point in our firm in terms of productivity and quality. Simply put, we hire great people that do great work! 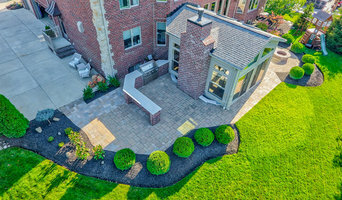 Way back in the late 1900’s (1983 to be exact) Lewis Landscaping was started with the idea that great landscape design, installation, & maintenance should be combined with great customer service & community involvement. Since then our friendly crews have grown from a few people to over 50 highly trained landscape designers, nationally certified hardscape & softscape specialists, state licensed turf care specialists, and maintenance technicians all aiming to exceed your expectations. Since 95% of our business comes from referrals… we think we’re on to something! We develop individual programs to satisfy each client's needs. The Lewis Landscaping Team looks forward to working with you on your next landscape project. Rent - Buy - Build Cleveland Bricks connects people to the Cleveland neighborhoods and matches them with their perfect apartment, rental unit, condo or home. Cleveland Bricks is a real estate company, but that would be oversimplifying things. What we really do is help solve the biggest questions people have about buying a property, building a home, or renting an apartment in Cleveland. All real estate agencies provide listings. What real estate agencies don’t do is a give you that feel for the other things that matter when you move. If you’re new to Cleveland, chances are you don’t know the hidden restaurant gems, which bars have the best happy hours, the best school districts or even which coffee shops have the best (and strongest) cappuccino. From the restaurants, bars, and nightlife scene to the arts, Metroparks, and culture, we provide an honest and transparent look at what it’s like to really live in the Cleveland neighborhoods of Ohio City, Tremont & the Detroit Shoreway. The interior design firm was established by Denise Dunlap after she received her MA in illustration and design. Denise is determined to bring warm and inviting interiors to Northeast Ohio. The firm is inspired by color, fabrics and raw materials using a foundation of basic principals of design and your style to create comfortable spaces. Designs by Denise offers exceptional design with the advantage of wholesale and discounted pricing on products and services. Denise also owns The Home Store which you can visit in Westlake, Ohio or at www.thehomestoreusa.com. Edenscape is a provider of commercial and residential landscape services throughout Akron and Northeast Ohio. Our mission is to provide creativity and solutions to enhance our client’s lifestyle and the environment. Our divisions consist of commercial/residential landscape design build, commercial/residential property management, estate management, and commercial and residential snow and ice management. Our mission is easy to remember - that is to deliver quality services and products at very competitive prices while providing first-class customer service in the process. We take pride in the fact that "it is what it is." There are no tricks in what we do, just good old basic business principles. These principals have made us one of the quickest growing landscape and outdoor lighting service companies in the Akron area since the year 2000. Nextgreen Design and Construction, L.L.C. As a Design Build company, we offer design and construction services for both residential and commercial projects, in order to help our clients realize their goals with better efficiency and greater quality control. By combining design and construction, we are able to save our client's time an money.in determining a project's cost requirements before any construction begins. Every project is different and we offer preliminary consultation and cost estimating services that are specifically designed towards assessing the client's particular construction needs. Welcome to Hann Heritage Homes, a second-generation, family-owned business, where we separate ourselves from other homebuilers by developing a personal working relationship that creates the ultimate building experience. Deal directly with Larry Hann and have all your questions answered one-on-one. We make Home Building easy! "Pay attention to every detail for the ground up!" Established in 1955, Ream Builders is a local, family owned custom home builder and remodeling company. 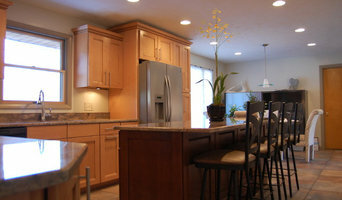 I have over 25 years of experience building homes and doing remodeling and additions. 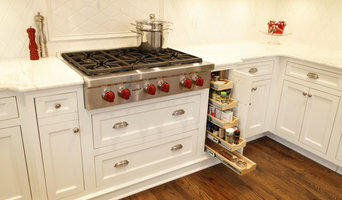 I am a hands on contractor and keep in close contact with my trades and the customer. We understand that remodeling effects the customers daily life so we do our best to accommodate you and keep things neat. We do not charge for drawings or to do a quote. We can make some changes to the drawings right at your home with our laptop and drawing software. We can even show you computer generated views from any angle, customers find this very helpful.